Ipanema Girl Black Cap Sleeve Jumpsuit worn throughout. By now I expect you are heading into Wellington Anniversary weekend in full-fledged denial about the fact you are probably back at work. 'The Holiday was great!' I hear you say 'It’s really just still going.' Well, boy have I got news for you. Today Donald Trump was sworn in as President of the United States so unfortunately, 2017 is defiantly underway. The good news is that I think 2017 will be a real ripper of a year, Don or non-Don. When you are drinking this all in on Tuesday, conscious that after Waitangi Weekend in two weeks there will be no more holidays until Easter, I implore you not to smash your head through the computer screen or run into the supply cupboard screaming. "When you are drinking this all in on Tuesday, conscious that after Waiting Weekend in two weeks there will be no more holidays until Easter, I implore you not to smash your head through the computer screen or run into the supply cupboard screaming"
Make yourself feel better by employing the use of some of these tried and true tips to get through work. These are things I think help me feel better, so apologies if you look at the list and want to spit out your coffee. Making a bit of time for yourself in the morning is a good way to steady the nerves for the day. Meditation is another option for those who are spiritually inclined. But sometimes it can feel like a bit of a chore. Instead, make some tea and sit and look out the window in the living room, away from everyone else and just let your brain break into the day. At 6-7am, it is deliciously fuzzy and soft. So once your day starts this way, it will flow on and affect your day because you’ll feel like you had some ‘You’ time. Don’t do what I do and check your phone the minute your eyes open (trying to kick that one at the moment). Likely, you’ll be sick of the sight of 2016 related stuff so I suggest bunging it in the bin. Matt and I have done a lovely clean of the house recently (Matt deep cleaned it as a treat on last Monday when I thought the world was coming to an end because my trousers were too tight and everything was awful - I stressed to him it was as meaningful as being bough a $100 candle in my eyes). A clean house can feel like a fresh start. So set aside a day this weekend to get stuck in. Last year I wrote about how the Wellington Museum can teach you about Wellington's History on Wellington Anniversary Day. It was rather jolly and something I would certainly recommend. 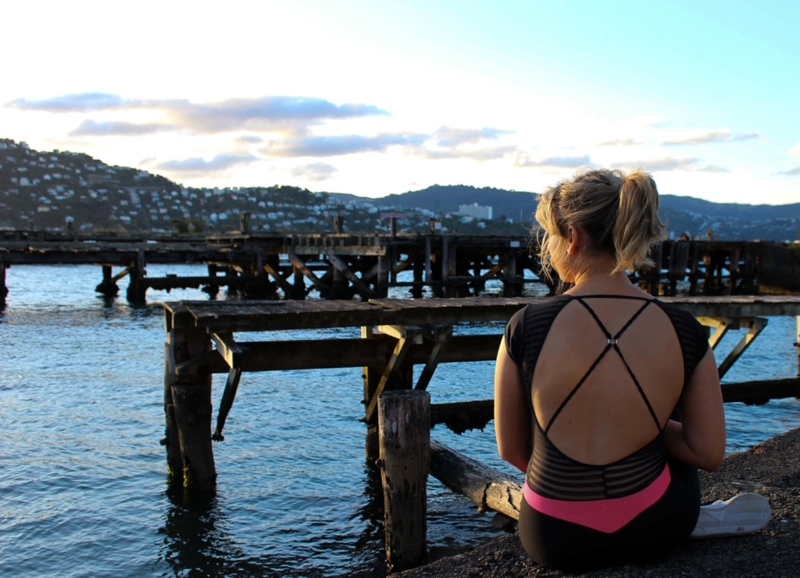 Whether it is Te Papa, a walk up Mount Victoria or a jog along the waterfront, go and check out a Wellington adventure you haven’t got around to in 2016. Better yet, go to Days Bay and see Dave for a kayak or bike hire. I am lucky in that I work with one of my best friends. I find that if we make the time for a few stupid jokes, mainly about how we think the writer Hadley Freeman from the Guardian is the best and how ridiculous Megan’s outfit is that day, I can forget the annoying stress of my job for a bit and feel calmer as a result. So often we fall into a rut of just wearing the same old thing. Why not pull out all your clothes and biff the ones you just feel ho hum about. By making the effort to look swag, you’ll be able to fake it until you make it and feel more swag as you head to the photocopier and Jim from accounts takes a second look. 7. …But then take it all off! After work, I’ve been enjoying heading straight home and putting on my evening clothes (read: pyjamas) or getting on some activewear so I feel like I’ve changed myself as well. I love to pop on my Ipanema Girl activewear and go for a walk around the bays, or even just nip to the shops in it to grab some wine (every time I say active wear I think of THIS.) It makes me feel like a different girl when I put it on, because it holds my booty up firmly (thank you to them Navy Leggings with Shiny Inserts and Jungle Zen Leggings) and commands the bosom into line (it's called the 'Navy Yolo' top for a reason). It’s like I've done a workout and I haven't even had to leave the room! Also, the bright colours make me feel sassy. I am really getting down with the new Black Cap Sleeve Jumpsuit I nabbed. It confounds expectations. I love watching peoples face change from one of hilarity to awe. “But how did it….how could a jumpsuit which looks so small and silly off look so good on?” they stammer. I know friends, I know - black magic, right. Immediate sauce-pot right here. You’ll find me rocking it all Summer long. I won’t get into this too much because I really need to do this my self. I have a google drive to organise my blog life but I really want to try bullet journalling. I can’t tell you much about it but basically it is a fabulous way to try and keep track of your life and you should Google it. In the meantime, I have about 3 notebooks. Once I write something down, I feel like it has been deposited out of my brain and onto the paper so I can decide what to do about it and move on. Urgh, I know that this will be the furthest thing from some of your minds, but it really does improve your mood more than anti-depressants and hypnosis. You just need to do it. While I've not been the model of exertion this summer, I know exercise makes me feel better and sometime in February I plan to get back on the Yoga bandwagon. I DO always love a walk however and have taken to trying to get back into my pedometer so I know how many steps I’ve taken. Again, going for a nice walk in the evening if the weather is good is a great option, especially in lovely exercise wear (I’m all about that poser life). Sometimes, you just need to switch off all those chattering thoughts. Why go to a therapist when you could pay $15 a month to have Netflix. Matt and I have been binging on all the one-star documentaries (in the vein of My Big Fat Gypsy Wedding) on Netflix recently. Last weekend we also watched the entire of the new ‘A Series of Unfortunate Events’ series and we loved it. There is nothing like being snuggled under the duvet with Count Olaf’s cackle to help you feel relaxed and homely. Ipanema Girl Black Cap Sleeve Jumpsuit. So there you have it! My top 10 tips to beat the back to work blues. What are your tips? Do you do any of the above already? Any suggestions? Let me know in the comments below.